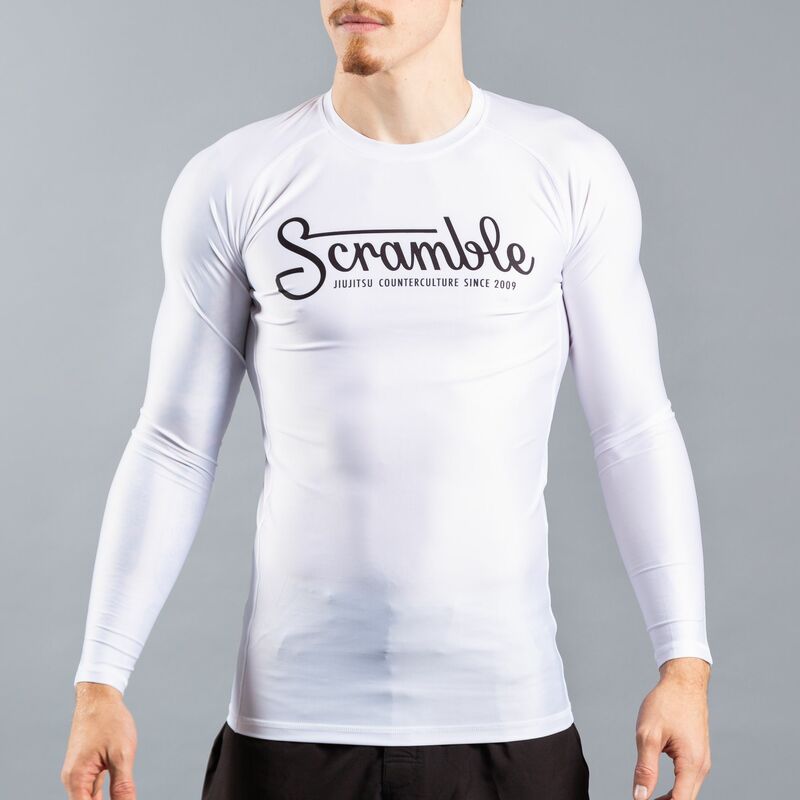 This is one of the boldest and simplest rashguards we have made, a plain white rashguard with the Letterlogo special Scramble logo treatment sublimate printed on the chest. 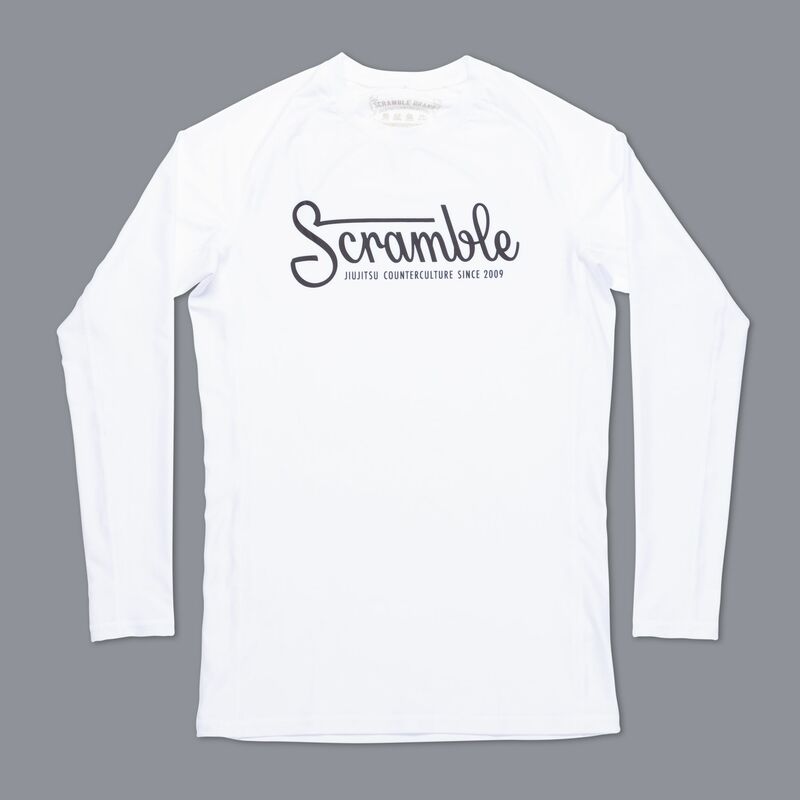 Made from top quality polyester and finished to a high standard using the best quality inks and sublimation machines. 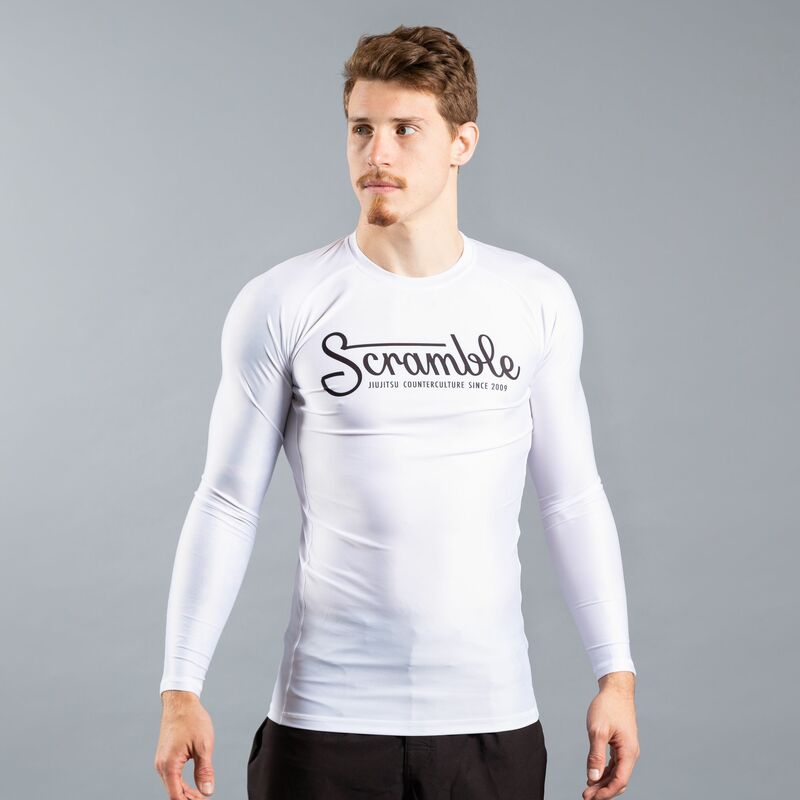 Premium quality rashguard made from the best material we could get our hands on, that resists pilling and transparency to an even greater degree than previously. 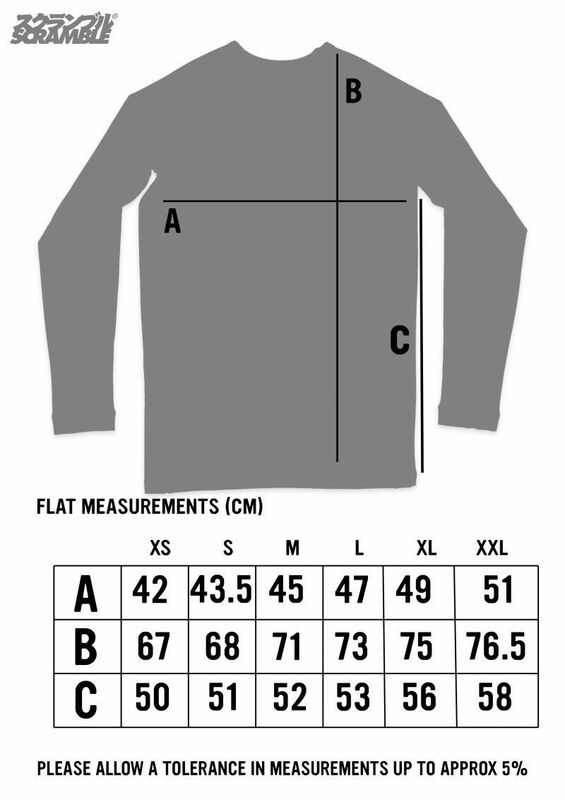 Model is 6ft 3 and 205lbs / 190cm and 93kg and is wearing a large.